A Journey Through Life | The world is not beautiful, therefore it is. One housekeeping note, I did not do anything blogging related during my week off from work. It was a week of airsofting (and getting drenched), some heartaches with a computer build refresh, and smashing The Division 2’s endgame like a cheap piece of meat. This TER might be short. Not a whole lot of thinking today, to be quite honest. Sucked into The Division 2 and with MGSO Asuka’s ending, it kinda, well let’s see. So, with the next season upon us, I think I’ll try to be more active. Inb4 I get sucked into more Division 2. I’ve already invested, at the time of this post, 80 hours. Going off on user Nenimi Otus scale of dollars/hour in terms of entertainment, The Division 2 is on track to pay itself off by next week, since I bought the 100USD Gold Edition. We’re on the penultimate episode of the series, and I feel as though we could’ve covered more. We definitely could’ve covered more of Asuka coping with life on the ‘outside’. Kurumi as she coped with being separated from her unrequited love. How Tamara and Mia are handling the stresses of their duties. A lot more could’ve been done. Also, concerning the preview image: HADO HO HASSHA! 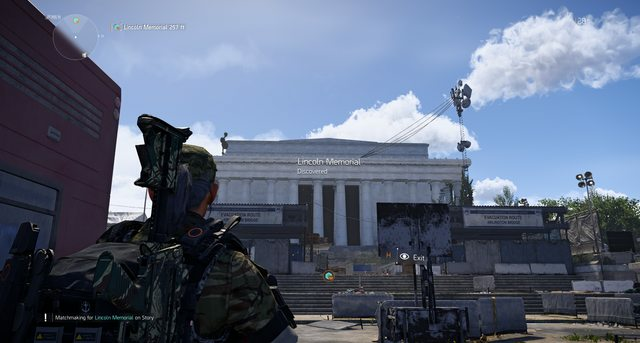 So I thought I’d do my usual thoughts about the last episode, but then The Division 2 happened. I’ve been playing that game on and off, but unlike some, I’m not power leveling, I’ve probably spent more time roaming and finding stuff. Anyways, this week’s episode shed some more light on the state of the world post-war. Rather short due to personal reasons. EDIT: Added some more thoughts as I mulled over something before going to bed. So, another quick thought. This one is late once more, seems like I’ve been sick or had my attention elsewhere for the past few weeks. And the preview picture is probably the happiest I had for screenshots. Mia being molested is also a plus. So, I thought I’d be able to get a post out after Katsucon for Asuka episode 6 before Friday. But since leaving the con I’ve been bedridden, well, scratch that. I went to work on Tuesday and by Tuesday night I can’t put much pressure on my foot. I’ve called out on Wednesday and been resting since. And I’m going to be fair, Asuka episode 6 really didn’t get juicy until the end. So my quick thoughts on the past two week’s episodes. My five episode thoughts on The Rising of the Shield Hero is on hold. I figure if I wanna talk about it, I’ll have to grab the manga and/or light novels. I’ve been informed stuff was changed. I will not do the same for Magical Girl SpecOps Asuka though. I’m doing it for Shield Hero mainly because I’ve gotten comments on Facebook, Discord, and in person on how friends/coworkers have been following the series since it came out and would often talk about differences or similarities. So I guess I’ll have to give it the same sort of treatment I gave Arpeggio of Blue Steel and Gate, Thus the JSDF Fought There. Which leads me to the next bit. What better way to support more Shield Hero (and Goblin Slayer) than to buy the translated stuff? I’ll probably get an opportunity now attending Katsucon 2019. I’ve once again volunteered as a staff member during my vacation, working with Public Safety (formerly Security). Now with the possibility (as of now) of another government shutdown, I may have to juggle my volunteer work with my actual job since all Leave will be cancelled. If that crisis is averted, well, since I front-loaded most of my required hours onto Thursday and Friday, I get to enjoy the con. Anyways, this week’s Asuka post will be late, probably closer to next Tuesday or Wednesday. And Shield Hero thoughts in two weeks if anything. So, I was accepted into The Division 2’s Private Beta the past week. That has somewhat pushed back my planned five episode thoughts on The Rising of the Shield Hero, as well as combining my thoughts on the game with last week’s Magical Girl Spec-Ops Asuka post.